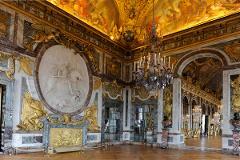 Our Versailles tour propose you visiting Versailles with a conference guide privates rooms closed to the public . Your driver will pick you up at your hotel . By choosing the private rooms visit, we give you the opportunity for an exclusive exploration . Your guide will make you enter in the world of the kings. Feel free to askanything according to your point of interest. If you want ,the visit ends by the discovery of the Hall of Mirrors and Royal apartments and the garden. 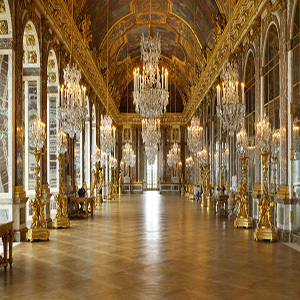 Your tour can include a lunch to La Veranda by Gordon Ramsay at the trianon Palace or at Angelina Café ,the restaurant la Flottille or a Picnic near the lake . After your lunch or free time , you have the choice to return to Paris , combined with Giverny or go to ONE NATION PARIS OUTLET for a moment of shopping in the new luxury outlet shopping center , 12 mn from Versailles .Some brand mark such Armani, Cacharel, Agnés B, Geroges Rech, Little Marcel, Rossignol , The kooples, Triumph, Zadig&Voltaire, Samsonite, Desigual and Galerie Lafayette Store .